The Martin Lopez Academy provides professional music training and education through group instruction, repertoires as well as private lessons since 2004. Through game activities, Mr. Lopez focuses on discipline, confidence, hand eye coordination, position, tone, and offers a well-rounded and fun learning experience for your child. 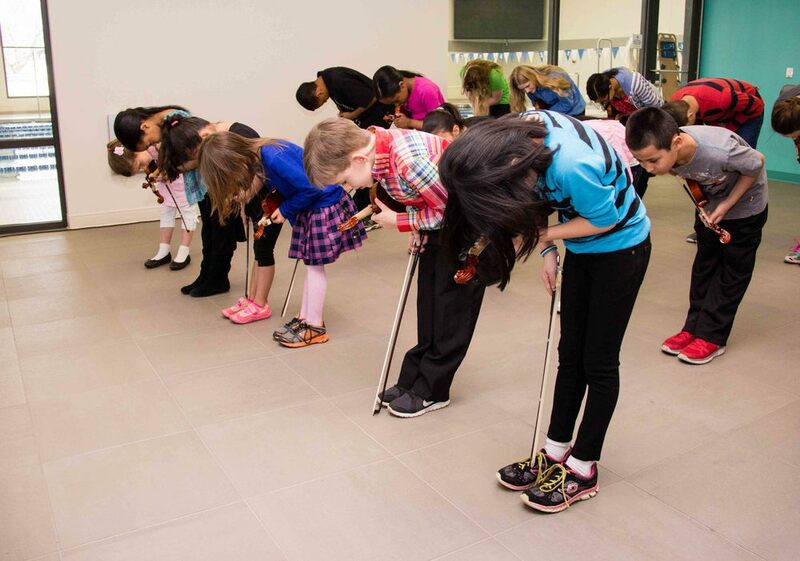 Students of all levels of proficiency are offered opportunities to perform in repertoire classes. Repertories are group classes available for The Martin Lopez Academy members. During the repertoires the students learn sound harmonization, stage presence, confidence, problem solving on stage, choreography, and etc. 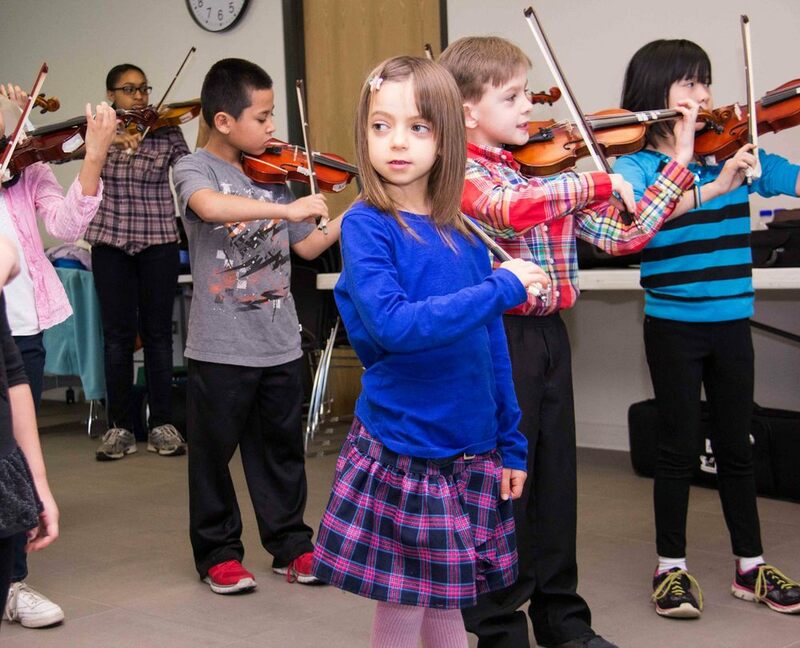 Our goal is not just to mold young musicians, but also to help create young artists in our community. 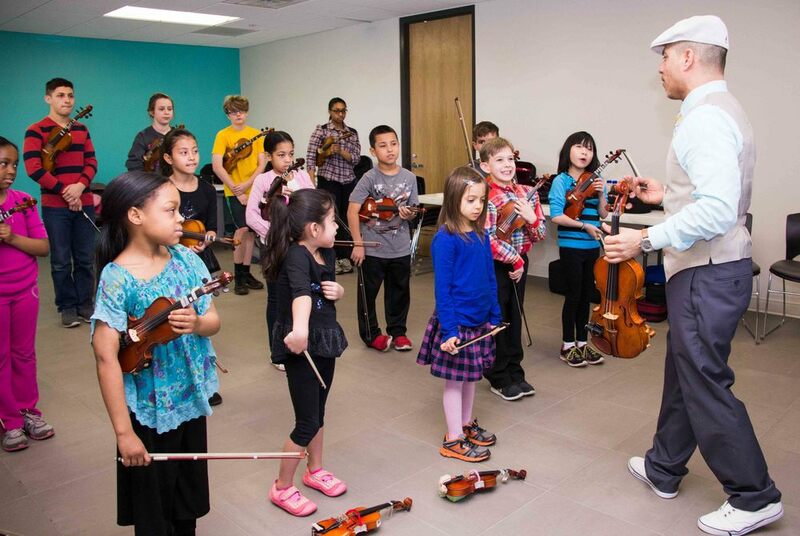 Private and group violin classes are held at Mr. Lopez's home-based studio in McHenry, Illinois. Repertoires are available on Saturdays in Crystal Lake and Chicago, IL. 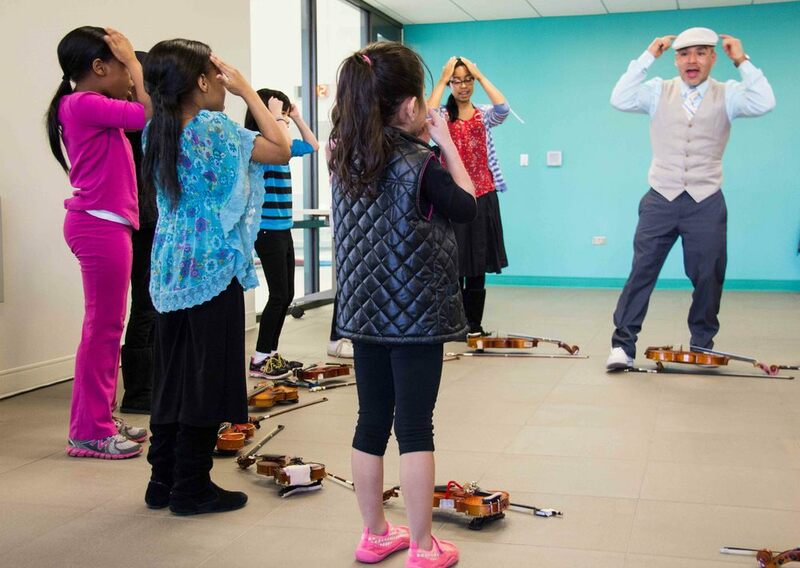 Now Offering Violin Classes in Chicago! Our studio is located on 5818 S Archer Rd, Summit, IL. For information and schedule, please call 847-529-7902. Hablamos Español. 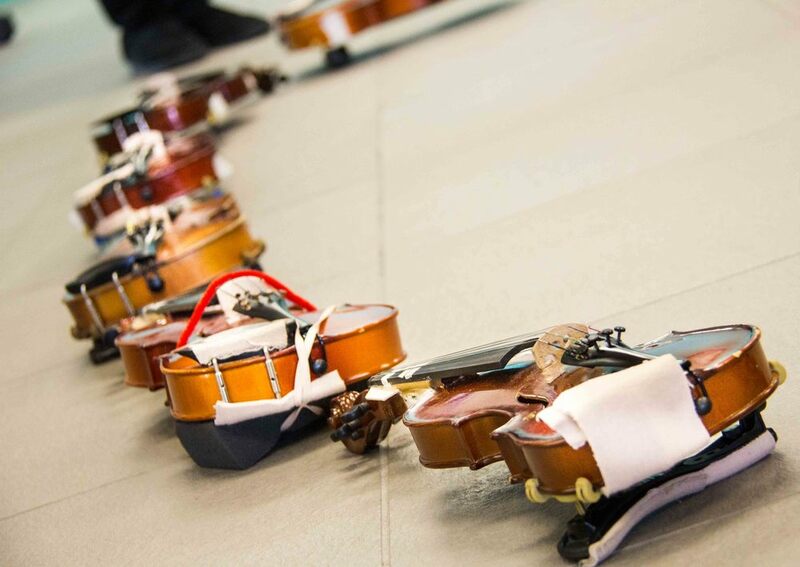 The Martin Lopez Academy offers violin rental as well, if the proper size is available. Please contact us for more information. 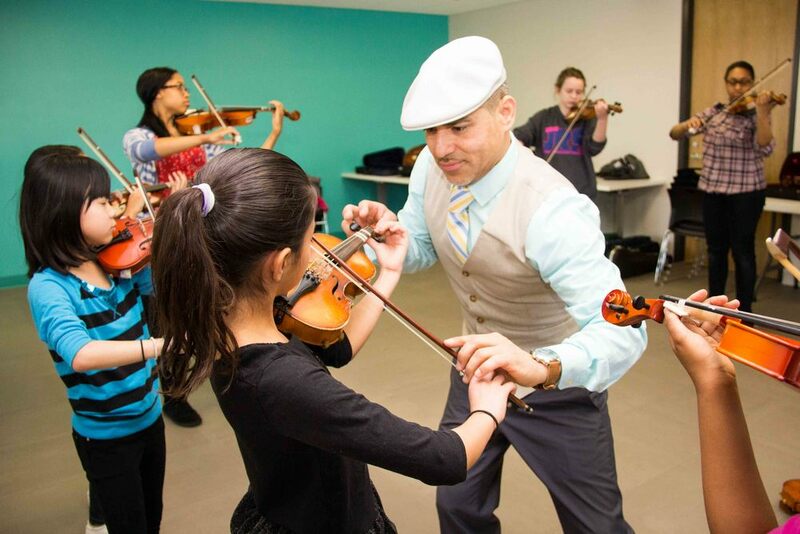 Martin Lopez is an accomplished violinist and instructor located in the Northwest Suburbs of Chicago. 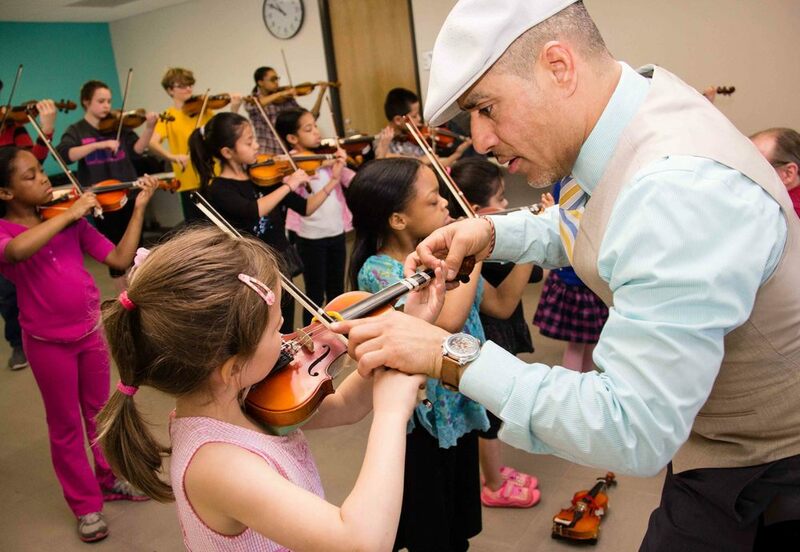 With over twelve years teaching experience, Mr. Lopez developed his own teaching style that introduces the violin to the young child from the first lesson. A rigorous teaching method and an emphasis on the joy of playing are combined with Mr. Lopez’ own energy to produce a great experience for his students. Besides teaching, Martin Lopez also composes and performs his own music. For more information, please visit Martin Lopez's Official Web Page. Martin Lopez began his violin career at the age of three, under the guidance of world-renowned violinist Betty Haag. At age 5, Martin made his first concert tour in Europe with Mrs. Haag’s performing group. At age of 6 he performed solo with the Chicago Symphony at their Petite Promenade Concert Series where he was referred to as a “child prodigy”. Martin subsequently toured Europe with the group, performing in France, Germany, Italy, and at the Vatican for Pope John Paul II. In 2002 Martin Lopez was recommended for a position with the Chicago Public School’s inner city program. Soon he convinced the director to let him begin a program for two-year-old children. As the program flourished, Mr. Lopez was put in charge of six teachers and conducted repertoire classes with 100 students from 20 different schools. A year later Martin was offered a teaching position for Roosevelt University, Chicago College of Performing Arts. In 2004, Mr. Lopez formed his own school in McHenry County, Illinois: The Martin Lopez Academy. Martin is dedicated to teaching children starting at age 2 ½ as well as teens and adults. In 2008, he established a non-for profit organization 4 Strings Attached, which made their first tour to Guadalajara, Mexico, where the group appeared on national television, followed by Disney World and Universal Studios in Florida, Bulgaria, Springfield, IL and Dollywood in Tennessee. "Being a part of the The Martin Lopez Academy has been one of the most enriching experiences of my life. When I first started playing the violin, it was just another hobby for me, but ever since I joined the academy, I truly developed a passion for performing and the instrument itself. Mr. Lopez is not only an amazing teacher, but also a role model and a friend. He continuously encourages me to strive for perfection, practice with discipline, and become more confident in all aspects of life. Everyone in the academy is so supportive, and I look forward to every class and repertoire to spend time with Mr. Lopez and some of my closest friends." "We have been involved with The Martin Lopez Academy for 10 years now. It all started when my now 13 year old insisted that she was going to play the violin at the mere age of 3 and wouldn't let up until I took her into a local music store advertising violin lessons. I finally gave in and guided her into the store where we met Mr. Lopez and came walking out with the tiniest of violins in our hands. 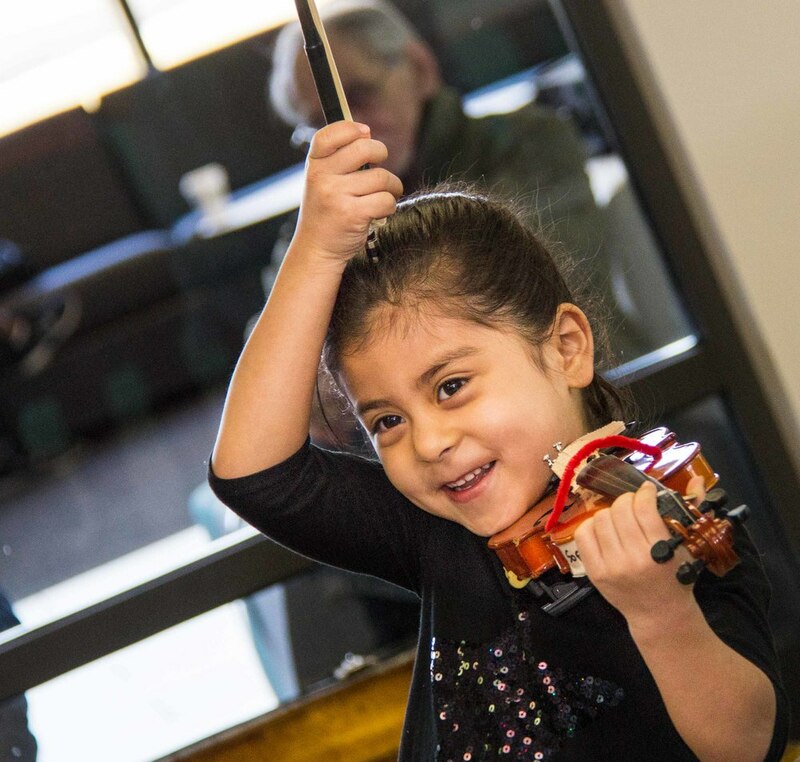 The amazing opportunities violin and The Martin Lopez Academy have brought my daughter have helped make her into who she is today.....a confident, determined, persistent and disciplined young lady." "We are long-time Crystal Lake residents with two daughters, ages 17 and 11, who are part of the Martin Lopez Academy. 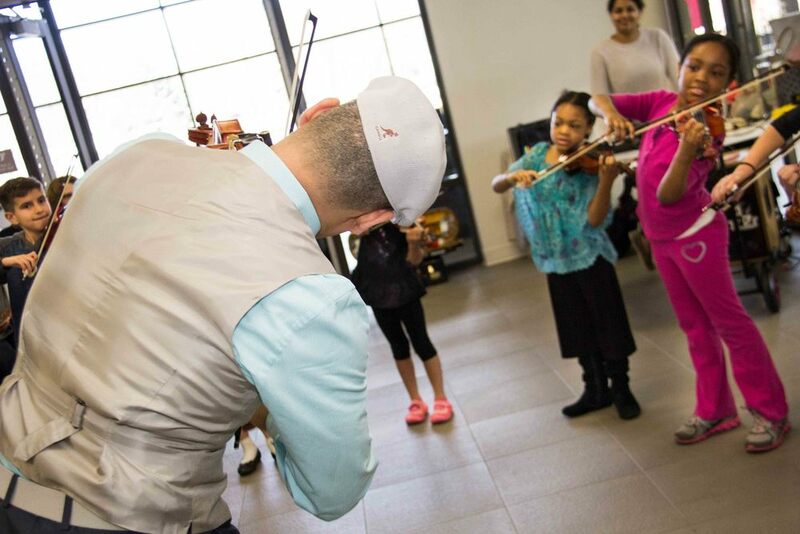 An incredibly talented violinist, Mr. Lopez provides a unique music learning opportunity in McHenry County of quality instruction with a capacity for teaching superior technique. Even though Mr. Lopez has high expectations and produces amazing performers, he maintains a fun learning environment with an abundance of positive energy. His creative teaching keeps students as young as three years old engaged during lessons and motivates advancing students to continue progressing through his program. 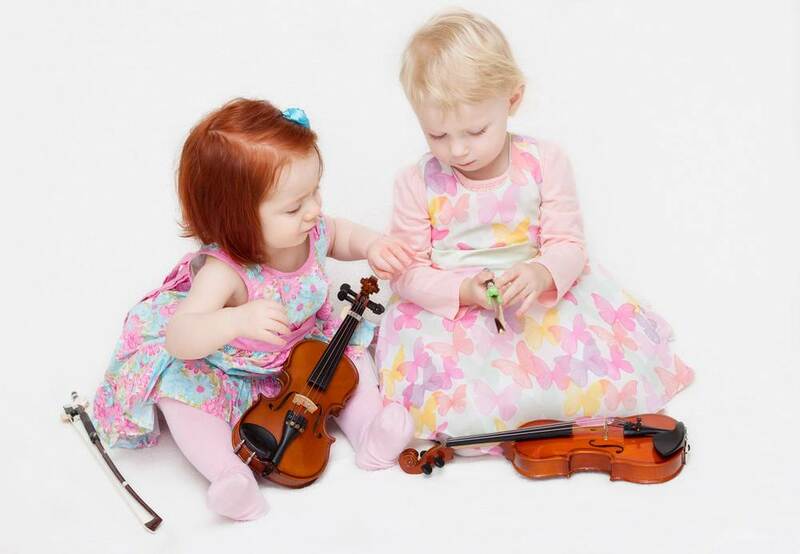 Our girls are not only learning how to play the violin, but also developing a deep love for music, have become part of a great community of young musicians, are strengthening their level of confidence, and are learning lessons about success through perseverance, hard work, and discipline that will apply to many situations throughout their lifetimes. 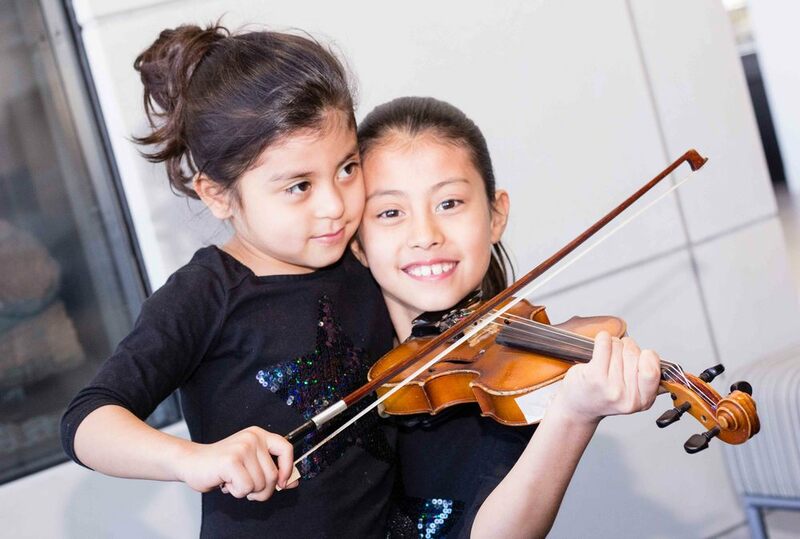 Asking either one of our daughters about their violin lessons results in happily animated stories of the many positive experiences and fun times they have had while being a part of the Martin Lopez Academy." "Being his student, I can say that Mr. Lopez taught me many skills, and not just in violin performance. 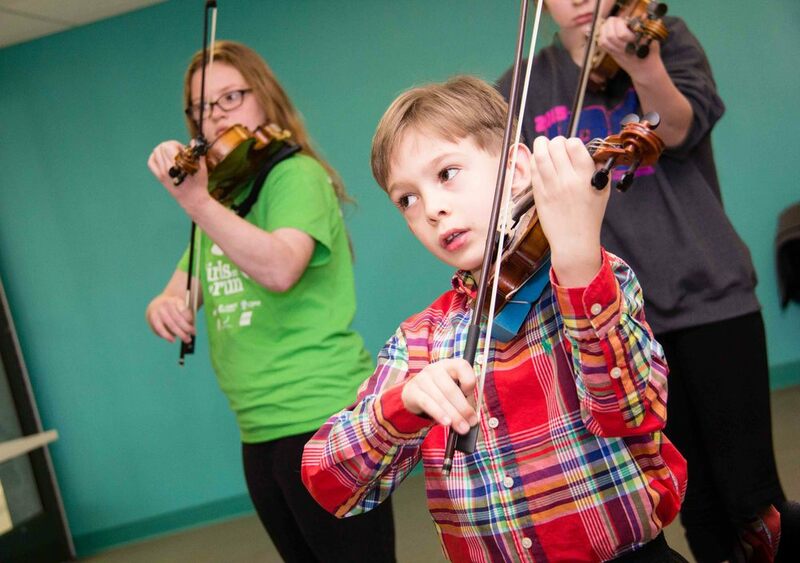 As a teacher, he works tirelessly to make sure that his students, including me, are able to become better violinists. The many performances that he has organized have greatly improved my confidence in playing the violin. As a person, Mr. Lopez has also taught me many important lessons that continue to affect me today. He promotes good leadership and discipline among his students. Mr. Lopez constantly stresses the need to positive in all aspects of life, a lesson that still holds true to me today." "I have been a part of The Martin Lopez Academy for about 10 years now and I believe I have learned more about myself and life from Mr. Lopez than I have ever learned from any school teacher. By playing this instrument and being a part of this academy I have learned discipline, confidence, and a great deal of multi-tasking. I would not be the person I am today without discovering this academy when I was 3 years old. I am very excited for what the future holds and the opportunities that will come." We would most highly recommend Martin Lopez. Martin was able to take our 3 year old son and develop him within a year to have the ability to play songs and perform with his violin. He has certainly given him the confidence in himself and the love of this beautiful instrument. Our son is now 6 and is moving on to the second Suzuki Book and reads music without issue. Though his Violin playing at age 5 was picked up from other teachers, unfortunately since because of an out of state move, without the base experience and love for playing our son received from Martin, there would be no Violin. Martin helped start our son so young so playing the violin was as every day as brushing his teeth or going to school. Martin’s patience, love of teaching his passion to children, joyfully, is wonderful to experience. Without any preconceived inhibitions, our son has come to love playing. We cannot say enough for Martins abilities to connect with young children who want to play. Also for parents that want their children to be enriched with the violin talents they possess within. Call (847) 529–7902 anytime daily, or connect with us on Facebook. Thank you for your interest in The Martin Lopez Academy! We will contact you as soon as possible.